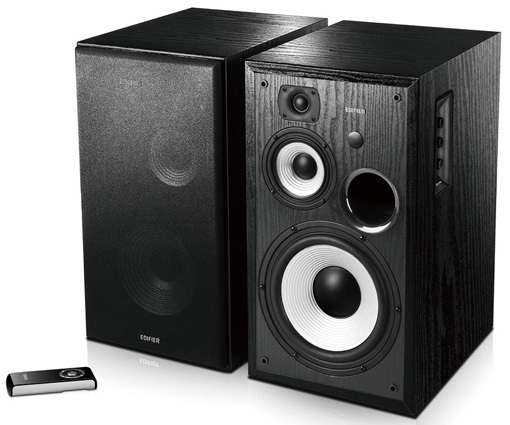 The company has introduced several new Edifier speakers, including devices that support wireless interface Bluetooth. 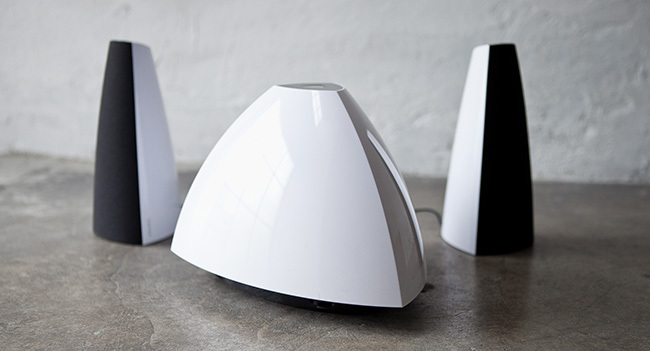 Speakers Luna Eclipse 2.0 format supports connection to a Bluetooth-compatible devices. 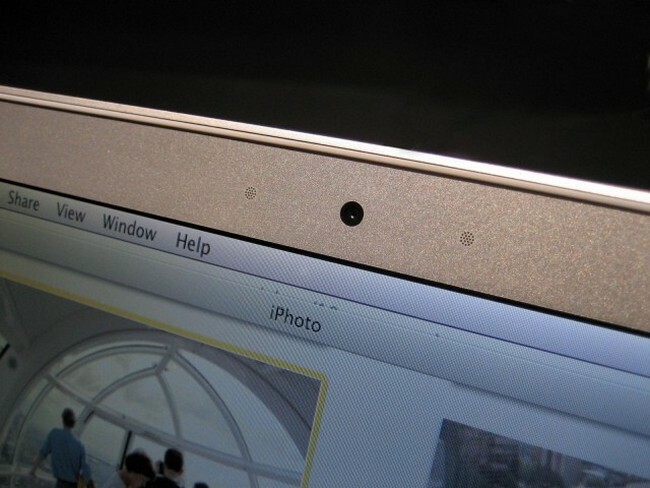 Also available is the ability to use a cable connection of 3.5 mm. Each column is equipped with a 19 mm tweeter and three-band wide-speakers. 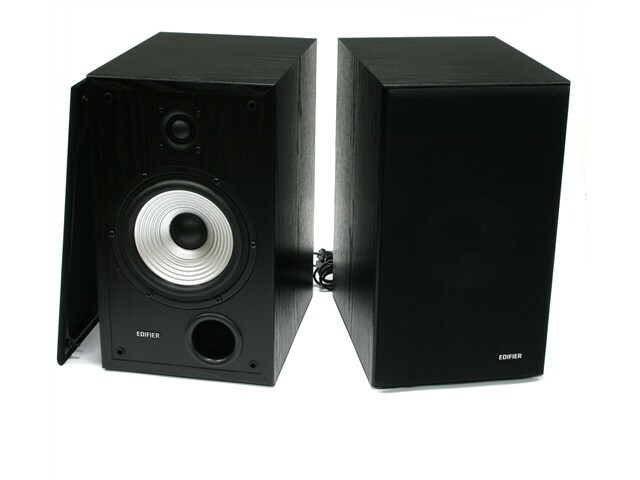 In addition, the rear of the column is equipped with two 3-inch passive subwoofer. In the model, Luna Eclipse uses digital sound processing software, and dynamic range that minimizes the distortion levels at high volume. You can control the acoustics as using the sensor unit and the remote control. 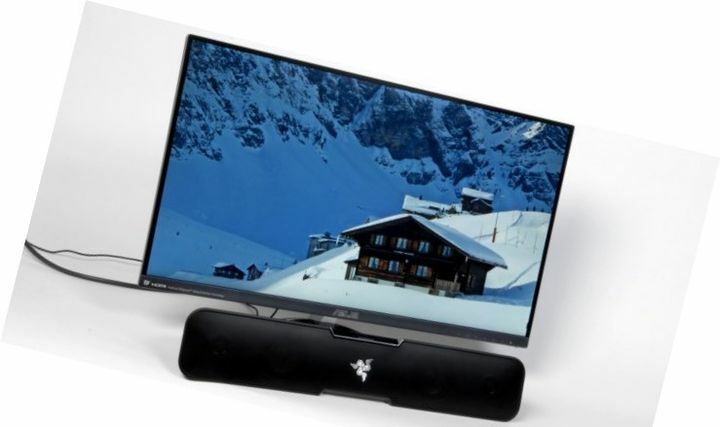 2.1-Channel Speaker System Edifier E3350Bt or Edifier Prisma-Bt is a compact solution. In the case of a subwoofer integrated controls and amplifier, and connectors for switching hidden under the overhang behind the case. Satellites have a triangular shape, they are mounted on two dynamics: the HF and MF. The device interface supports Bluetooth. 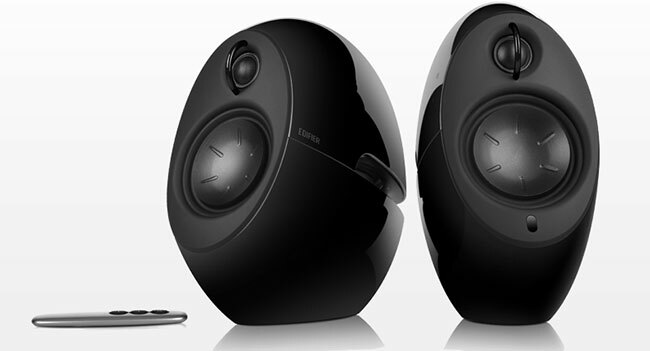 Model Edifier M1370 Bt is a set of desktop stereo speakers with subwoofer, featuring the presence of Bluetooth module. The subwoofer is made of MDF (medium density fiberboard) and includes a 5-inch long-throw driver with magnetic shielding in the design of gang-pass. Bass reflex tube is located on the side of the subwoofer. Satellites are made on the curved base. Model R2600 (Edifier Studio 6) is created with the use of signal amplification technology “bi-amping.” This means that there are 2 independent amplifiers for high and low frequencies. The device is equipped with two independent RCA inputs for connection to any audio source. Volume control and source selection can be controlled by a wireless remote control. 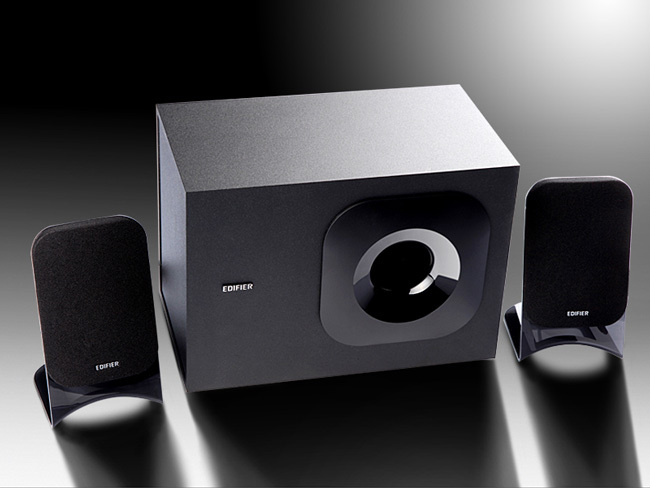 Three-way model Edifier R2700 contains separate speakers for each frequency band (high, medium and low). To connect to various sources of signal unit has 2 analog inputs and 2 digital (optical and coaxial). Volume adjustment is made at using the tuning knob. According to the manufacturer, this ensures high reliability. Treble and bass are catch average position. 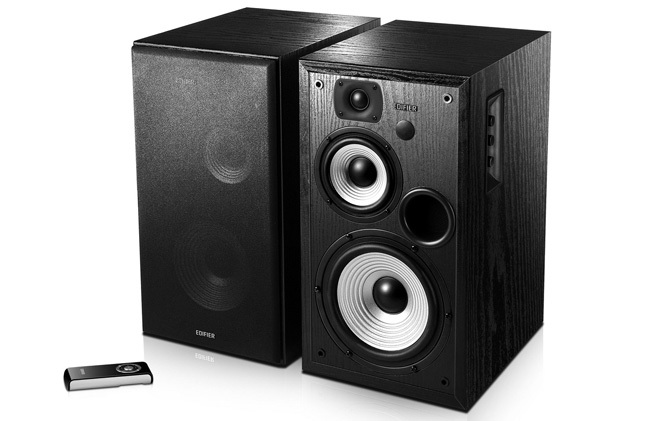 Model Studio 8 or Edifier R2800 is a three-lane solution. It contains an 8-inch woofer. The bass and midrange speakers are made using composite cone with a paper-based foam in the form of corrugated ribs. 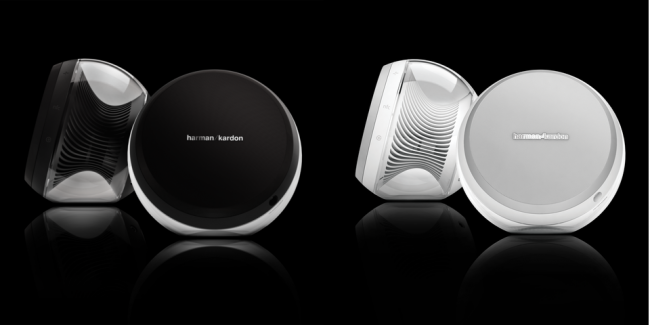 Management speakers, adjust volume, treble and bass, input switching is located on the side of the active speaker in a recessed niche. Selecting the source by pressing the volume control, as evidenced by a color change indicator light.